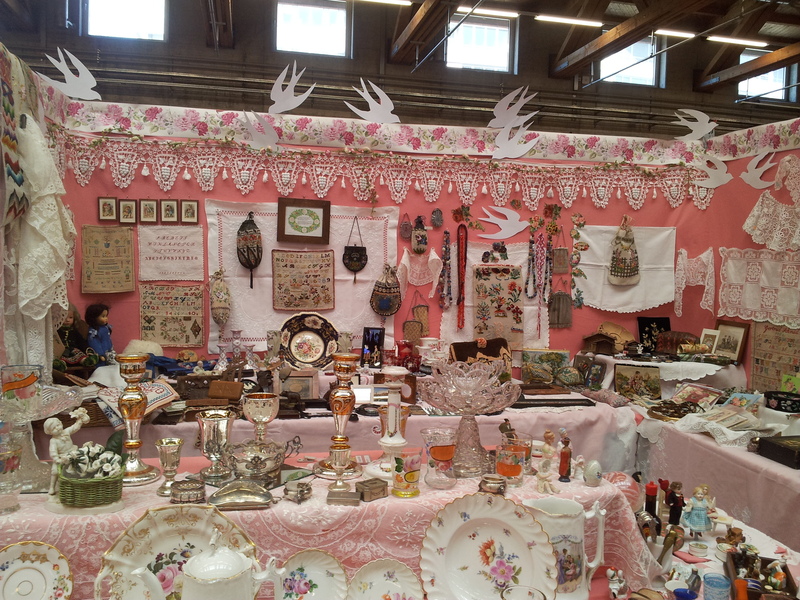 Last week I went to my my first Antiques Fair here in St. Gallen. 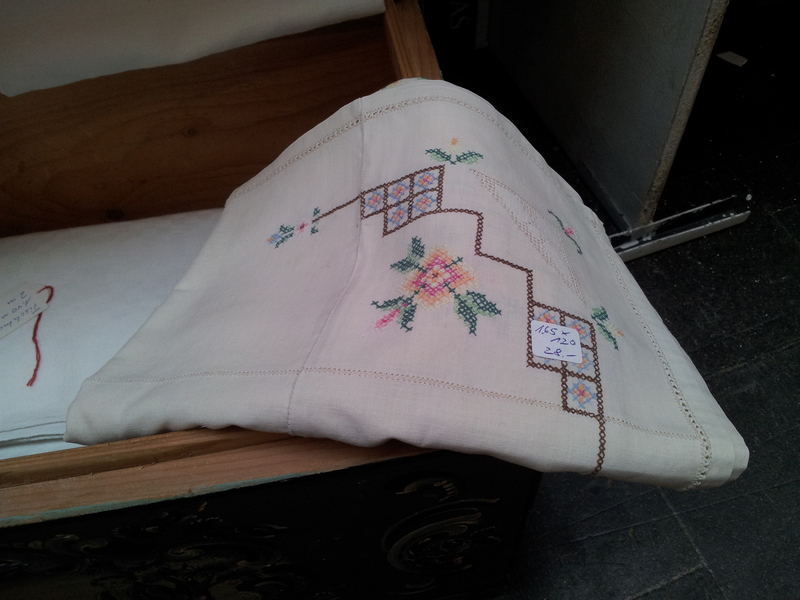 I have always appreciated old books, furniture and tableware and wishful thinking lead me to hope that I might even come across some antique quilts. Of course this event held in the ‘OLMA’ exhibition center, turned out to only be a regional fair, so there was no luck on that front. Nevertheless, there was still a lot of interesting things to discover, so much that it was just a tad bit overwhelming. 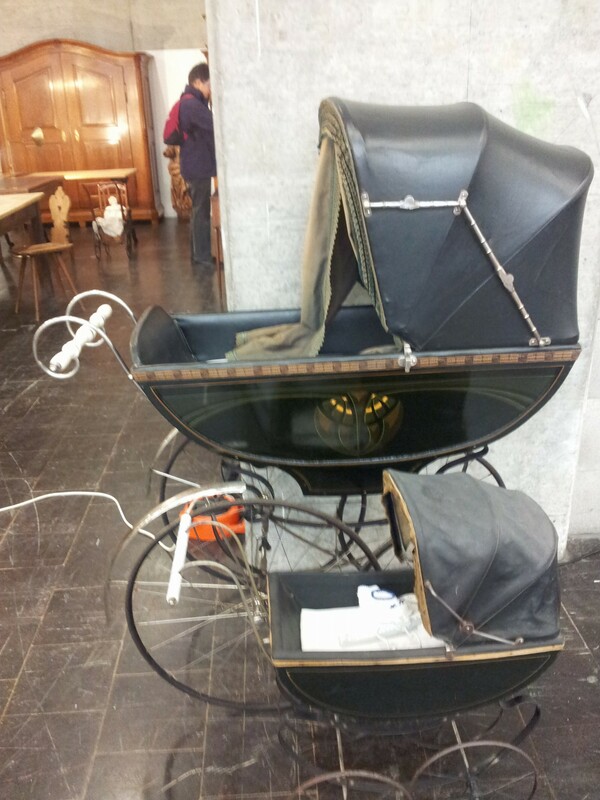 I couldn’t resist a pic of these mother and daughter matching prams, the real one somehow reminds me of a herse. 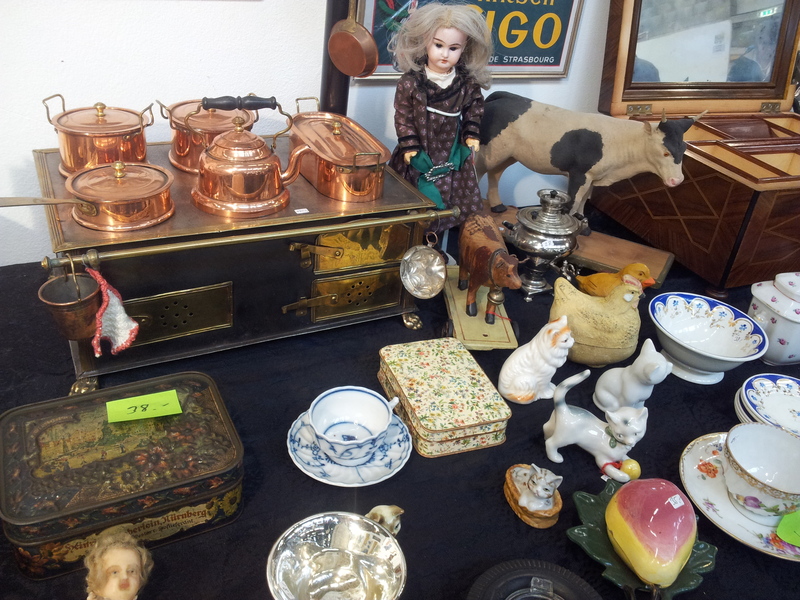 I could’t believe this little toy stove, complete with it’s own set of copper cookware. 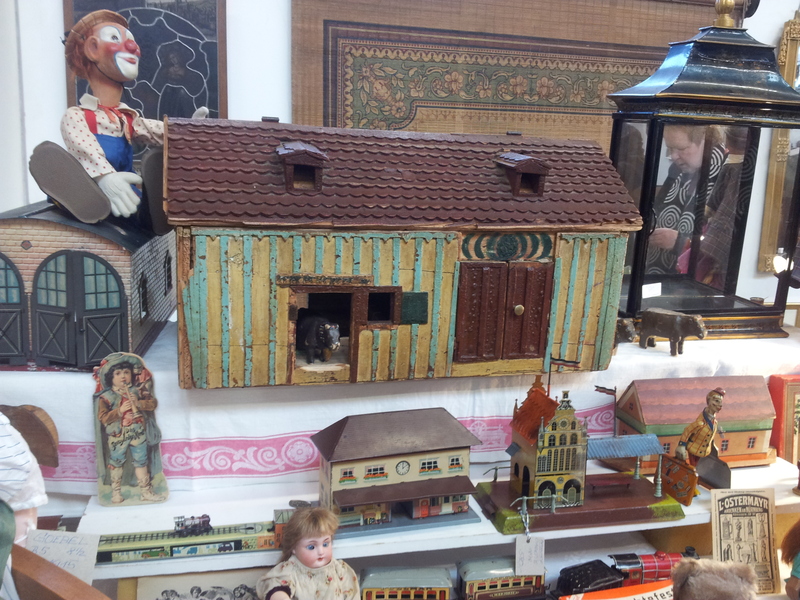 Or this traditional Appenzell barn, just like the life size ones that are still a part of the Appenzell countryside. 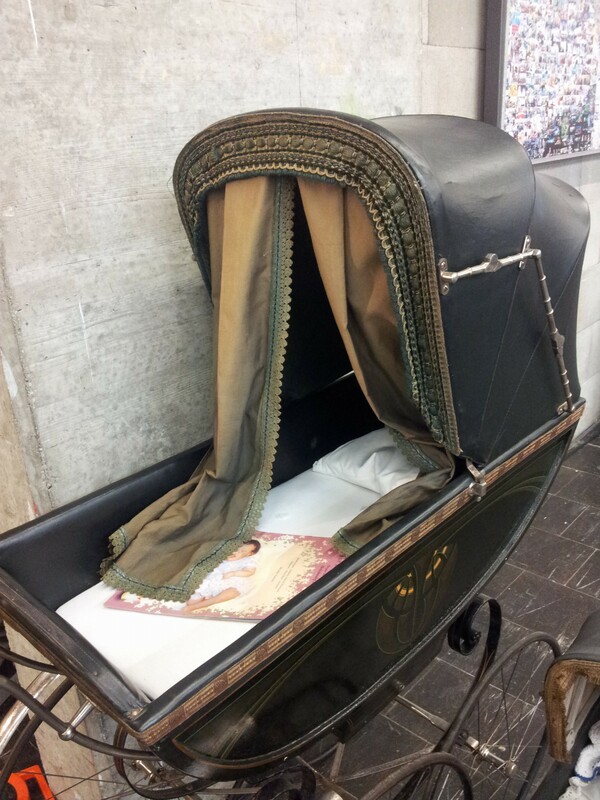 With St. Gallen’s history in textile, lace and embroidery there was certainly enough of that to find. Unfortunately, I couldn’t get up close to the samplers at the back! One thing I have started to collect is pretty cookie tins. 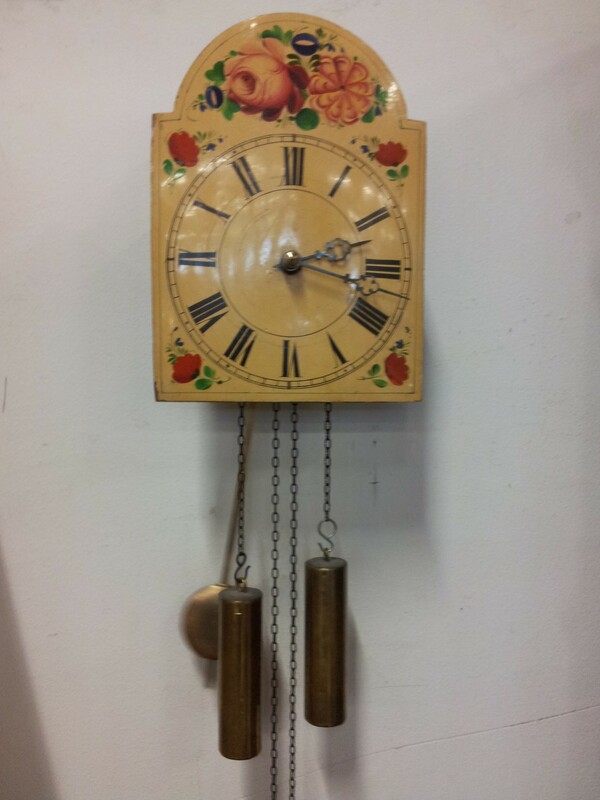 This one was gorgeous, with the bee hive on it, but at 90 Swiss Francs, a bit out of budget! 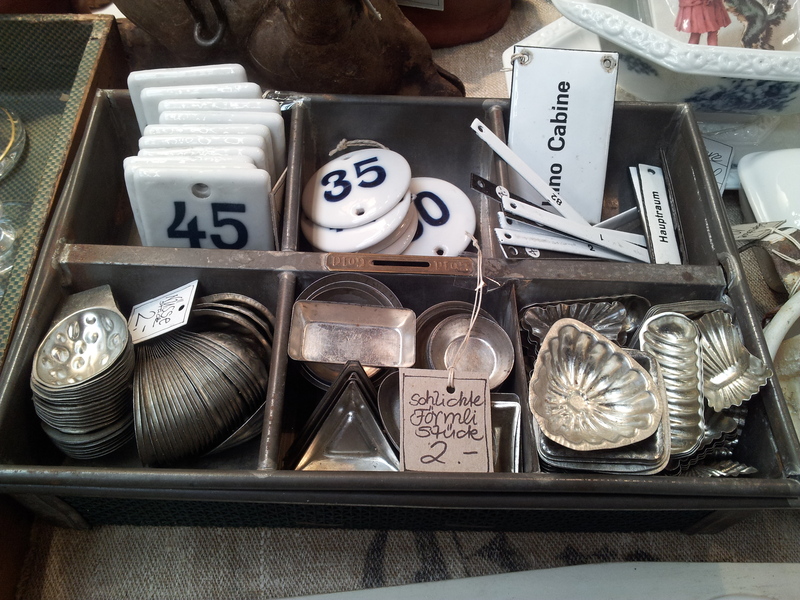 And these baking tins were very tempting, but again so expensive. 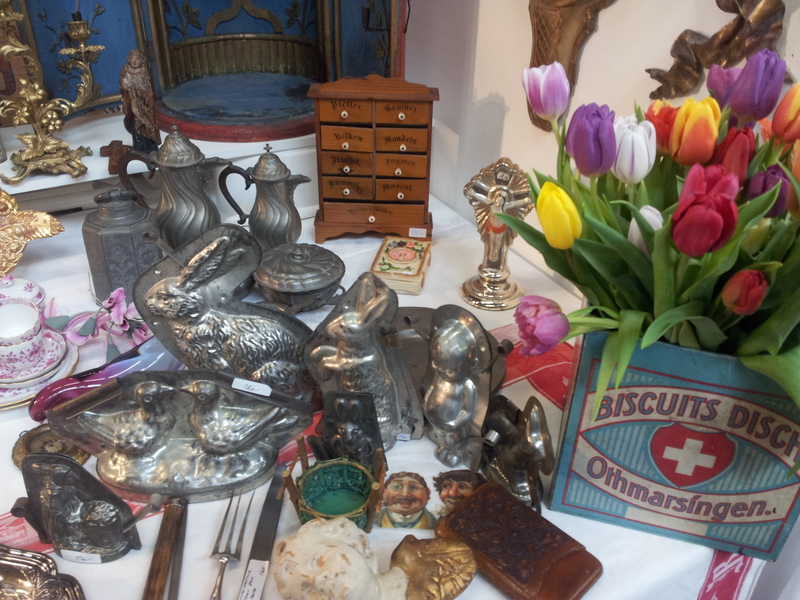 Lots of lovely bits and bobs. 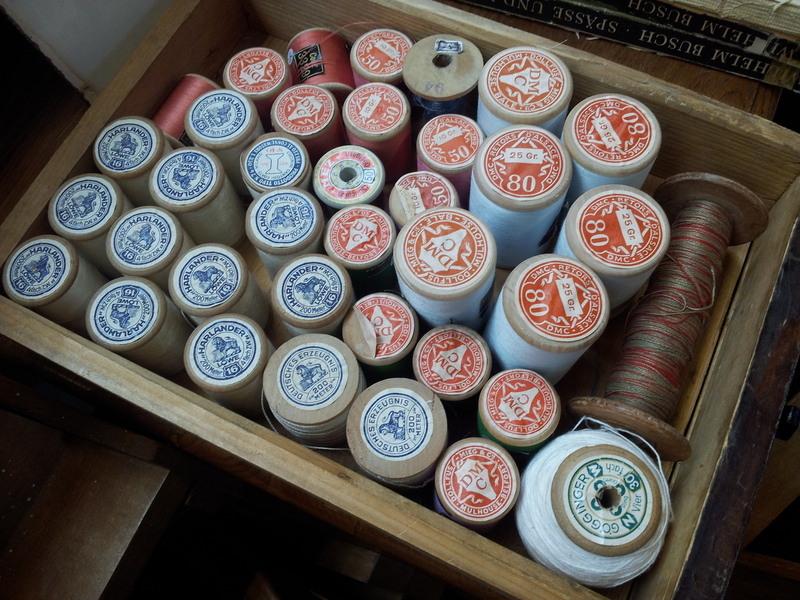 And finally some sewing supplies! 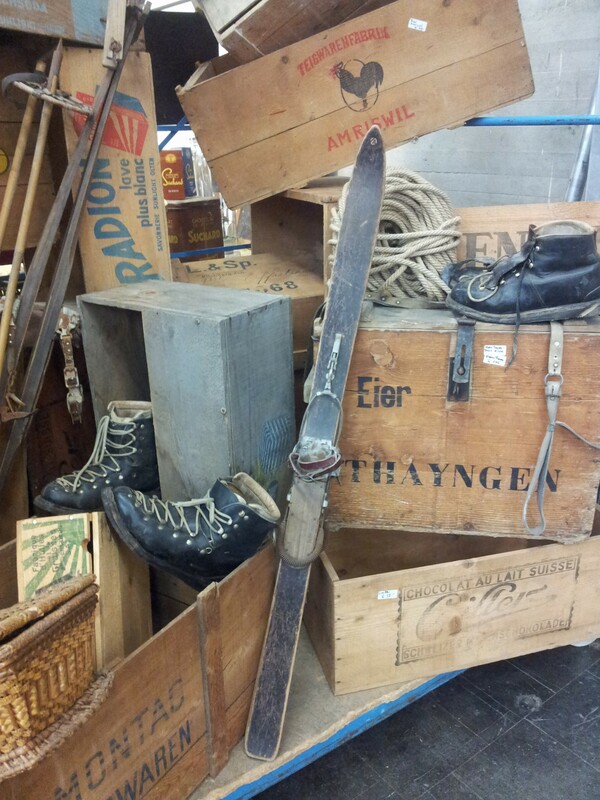 Well I may not have found any quilts or British tableware but it was still a lot of fun poking around in the past! Wow, das ist ja eine Fülle an wundervollen wie kuriosen Sachen. Da wäre ich auch gerne gewesen! 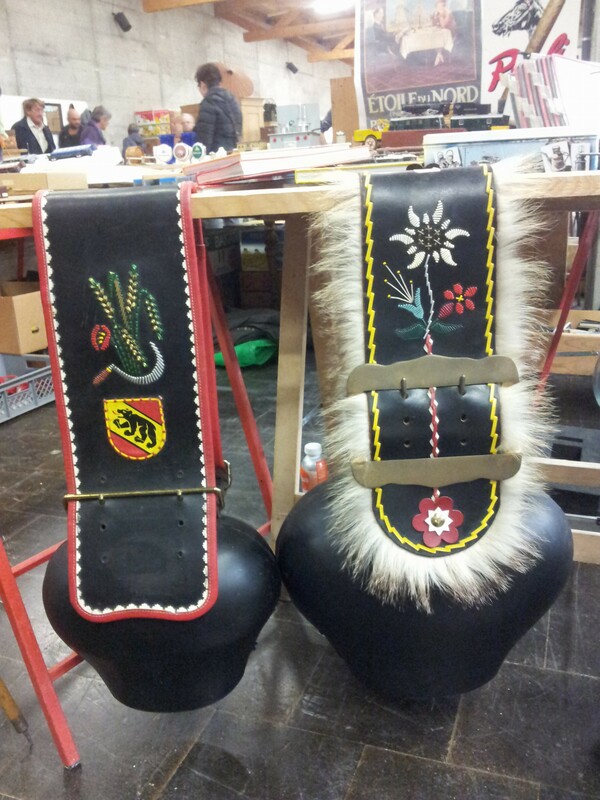 Toll! Die alten Kinderwägen sind ja super! Ja, jetzt geht es los im Garten und der Helfer, ja, der ist gut! What a lovely, and different, fair! 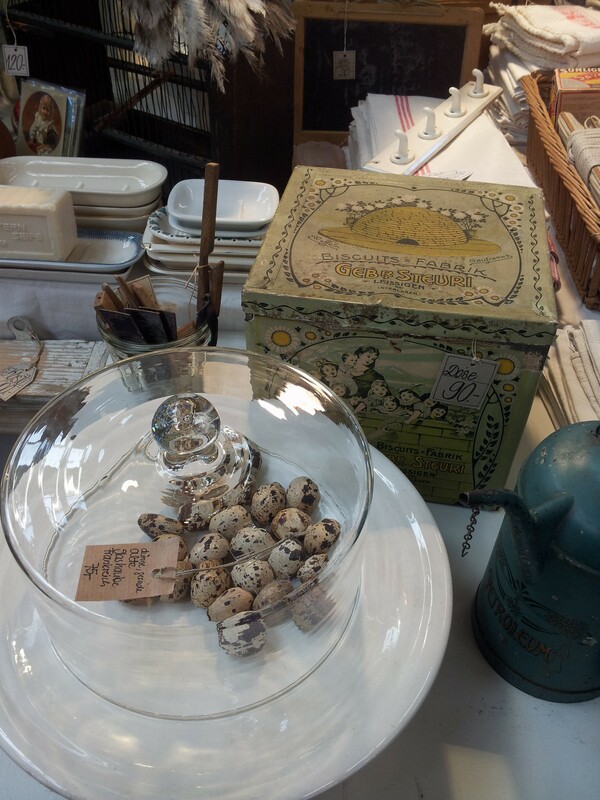 That beehive tin is gorgeous – serious tin envy here! 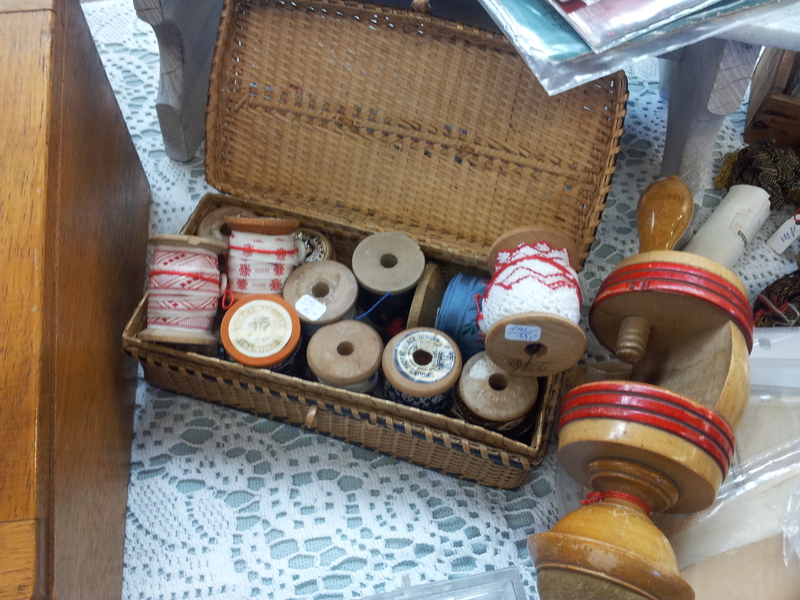 And love the linens and sewing goods. 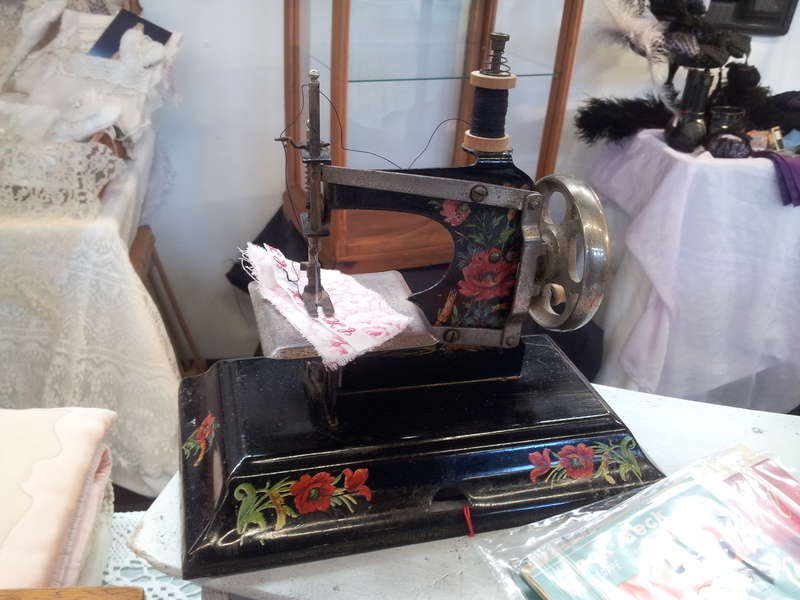 Such a cute little sewing machine. Shame you’re not a millionaire!